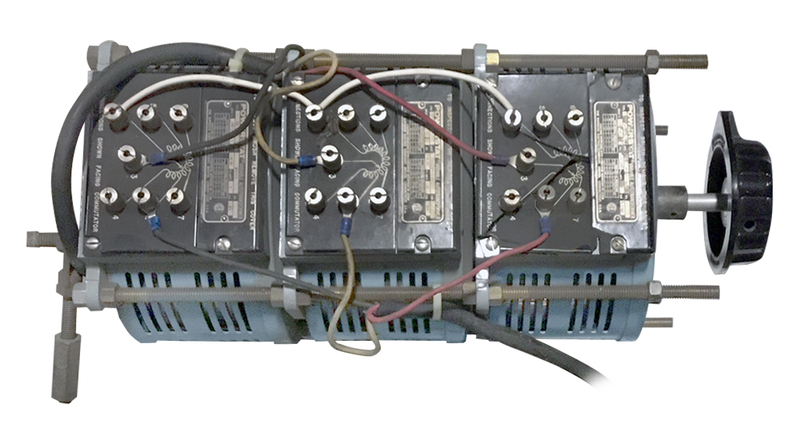 Powerstat 3 phase variac. Used. Repaired terminal plate. Vintage General Radio variac. 115v @ 10 amps. 6-1/4"D x 4-1/4"H. 3/8" x 1-1/4"L shaft. Spare for VOA Continental 420 transmitter. Like new. Old stock or rebuilt. 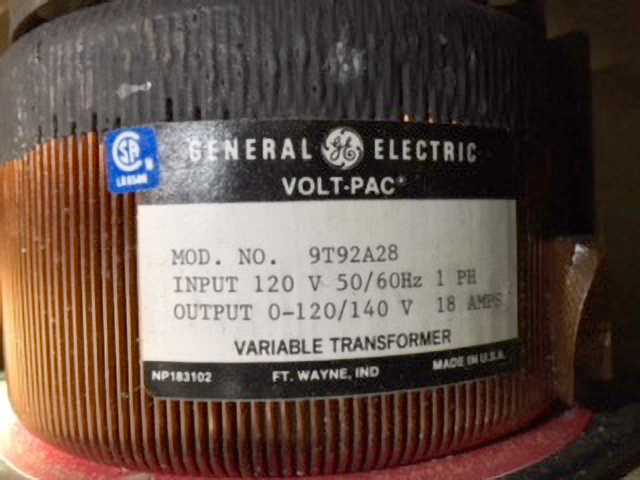 State-Of-The-Art "Volt-Pac" designed General Electric variac delivers 18 amps @ 140 vac with 120 vac, 50/60 Hz input. Frame 75, 6" max. diameter, 4-1/2" high. 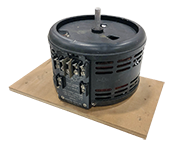 Reversible shaft allows bench mount as pictured, or panel mount. New in the box includes dial plate and knob. Shipping weight = 19 lbs. 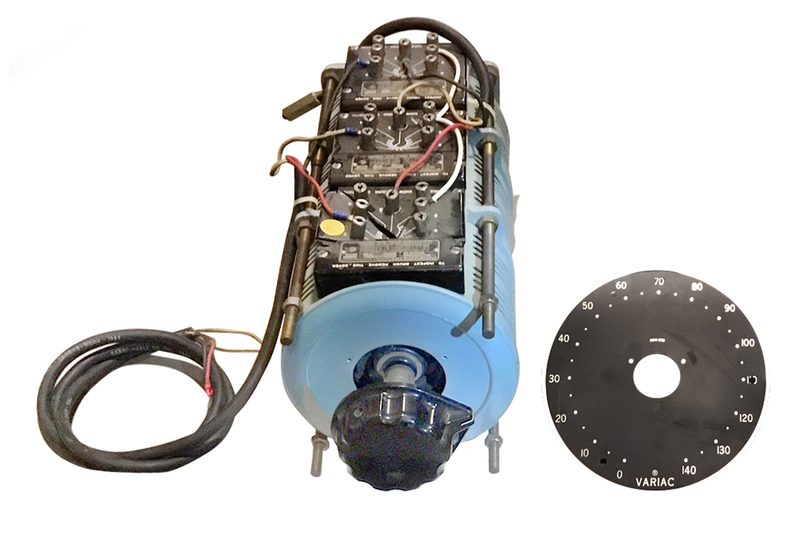 Variac core. 120v, 28 amp. Output: 0 - 140v. We dismantled the large parallel unit. New drive shaft reduces to 3/8" and can insert from front or back. 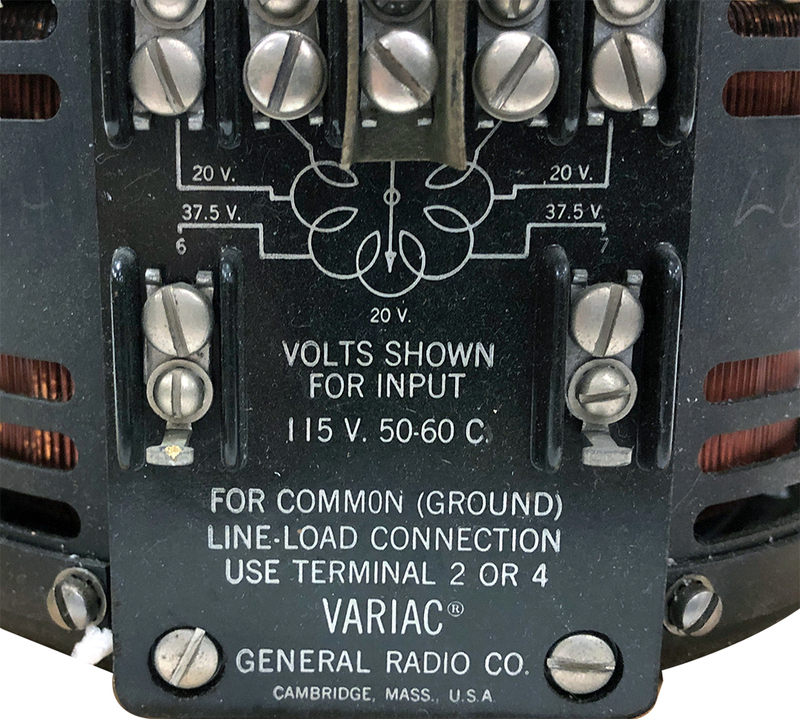 On board 40 amp fuse. 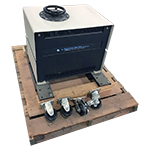 Powerstat benchtop variac. 50 - 500 Hz. Electrical box covers terminals. Screen shroud covers winding area. Steering wheel knob & dial included. Removed from service, like new condition. OEM wholesale price: $1,975. 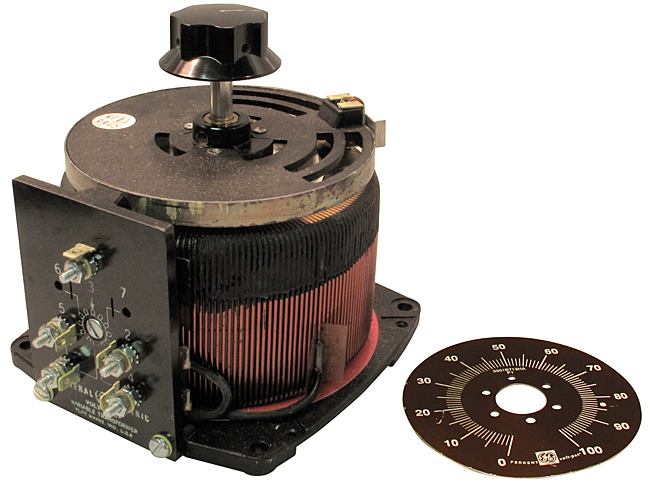 Powerstat variable auto transformer. Type 217BU with new knob. 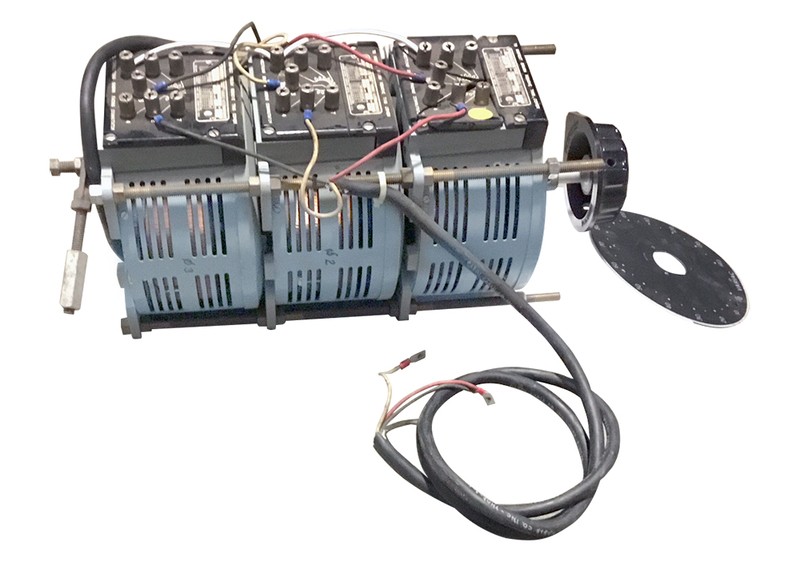 For constant impedance load: 7 amps max, 1.7 max kva. The Superior Electric Co., Bristol, CN. 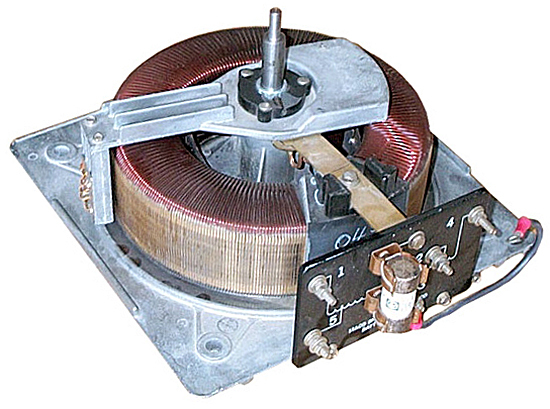 Powerstat BA50-N01-1 Superior Electric Co. variac. 2 cores in parallel. Looks new. Prepped with cord and in / out connectors. Powerstat 236-2D dual 4,4 kva variac. 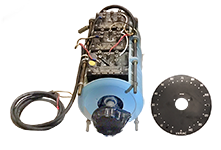 Removed from equipment - with knob and dial. 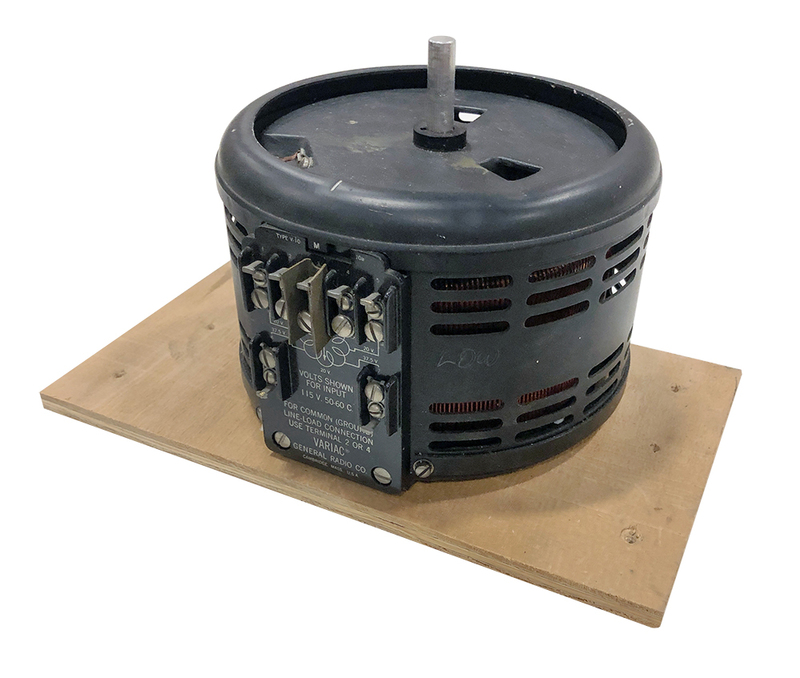 Dimensions: 8-3/4" x 7-1/2" x 12"
Dual variac. 0-480v at 30 amps. 7 taps. Used, but in excellent condition. 12" x 14" deep, 18"H, 3/4" shaft. Variac steel shaft. Use when converting stacked variacs to single phase use. 3/8" shaft, 3/4" outside diameter, 10" overall length. Removed from equipment. 100% functional.